Ever taken an airport cab? 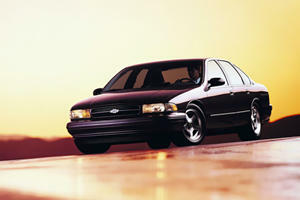 If so, this is the car you rode in. 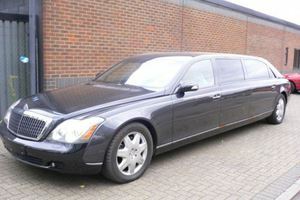 This huge sedan, a relic if ever there was one, is now sold primarily to livery fleets, although it is possible that your grandfather also has one. Since most of these cars belong to fleets, the options offered are perhaps more limited than you would expect from a full-size luxury car, to say nothing of the low power figures produced by the engine. That said, the car has a charm to it that cannot be denied. There is just something about a massive American land yacht that makes you smile. 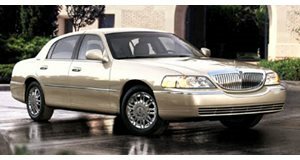 Tired of that Lincoln Town Car limo? Check out these more upscale options. The big American highway cruisier is almost a thing of the past. With families now opting for smaller compact sedans, Editor At Large Jay Traugott reflects on why exactly his grandfather was a long time fan of the Mercury Grand Marquis.